I was trying to think about a fun series of quick daily drawing to do for the month of December and kept thinking about something to do with the advent calendar. 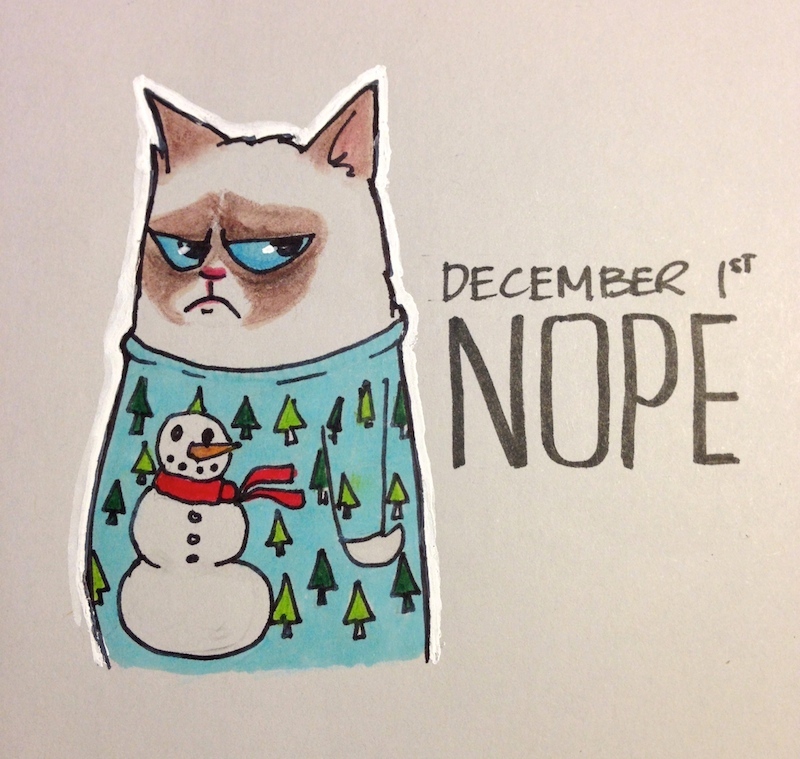 After too much thinking, I finally came up with my interpretation of the "advent calendar of the Internet" : Grumpy Cat in Holiday Sweater. Enjoy!